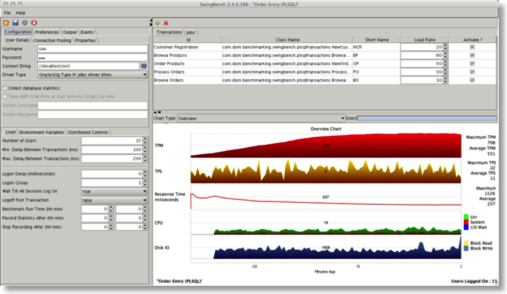 New build of swingbench... Testers needed!! I've just finished a new build of swingbench 2.6 and it has a lot (and I mean a lot) of under the cover changes to try and take advantage of some Java8 features. Most of the changes are to simplify the code and make sure that some of the more complicated concurrent code works as expected. I'd really appreciate it if you get a chance to try this version out and provide me with some feedback. 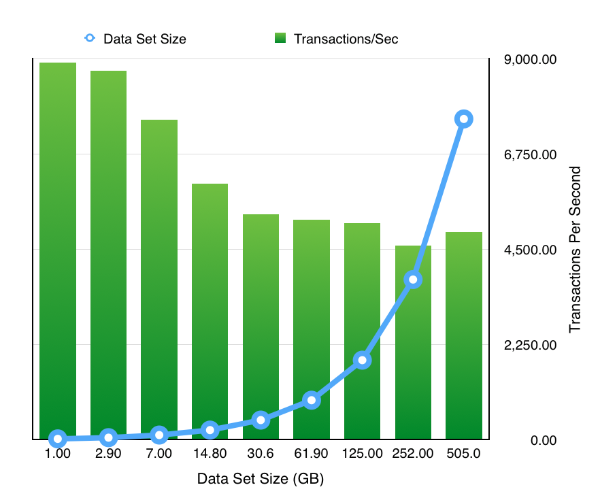 As a means of demonstrating what you can achieve with SBUtil I’ve created a little test to show it’s possible to trivially change the size of the data set and rerun the same workload to show how TPS can vary if the SGA/Buffer Cache is kept consistent. I’m hoping it should be fairly obvious what the script does. 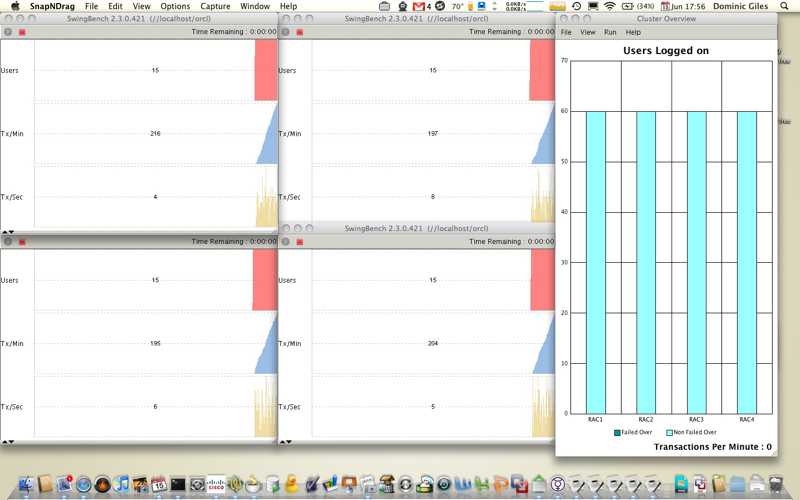 I create a tablespace big enough to accommodate the final data set (In this instance 1TB). This way I’m not constantly auto extending the tablespace. Then I create a seed schema at 1GB in size. 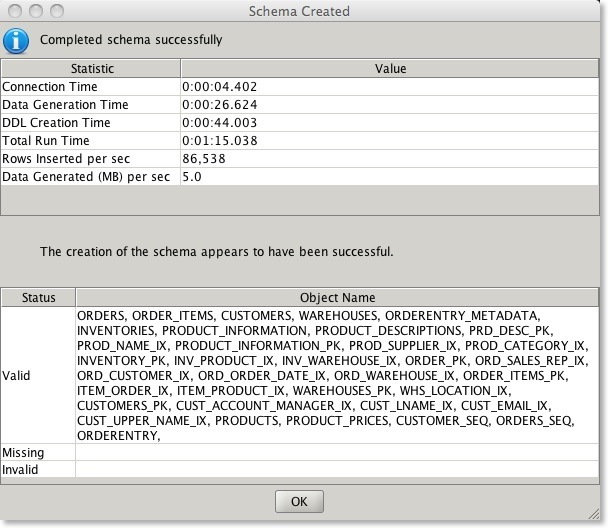 Then I run a workload against the schema, this will remain constant through all of the tests. 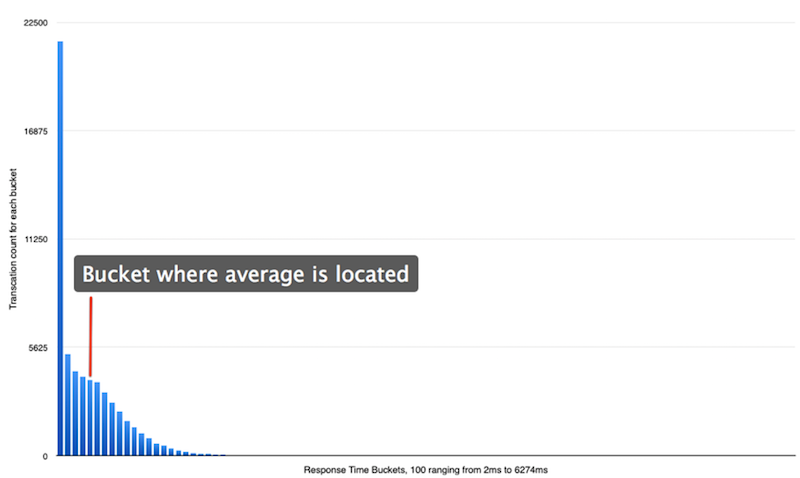 Each of the load tests runs for 10min and collects full stats. After the test has completed I use “sbutil” to replicate the schema and simply rerun the workload writing the results to a new file. By the end of the tests and duplication the end schema has roughly ½ a Terabytes worth of data and about the same in indexes. The benefit of this approach is that it’s much quicker to expand the data than using the wizard to do it. 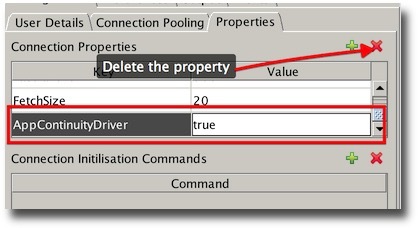 On completing this step I can use my favourite spread sheet tool to load res1.csv and take a look at the data. 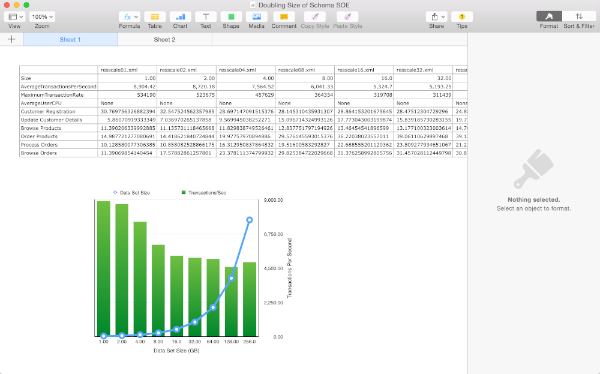 In this instance I’m using “Numbers” on OS X but Excel would work equally as well. 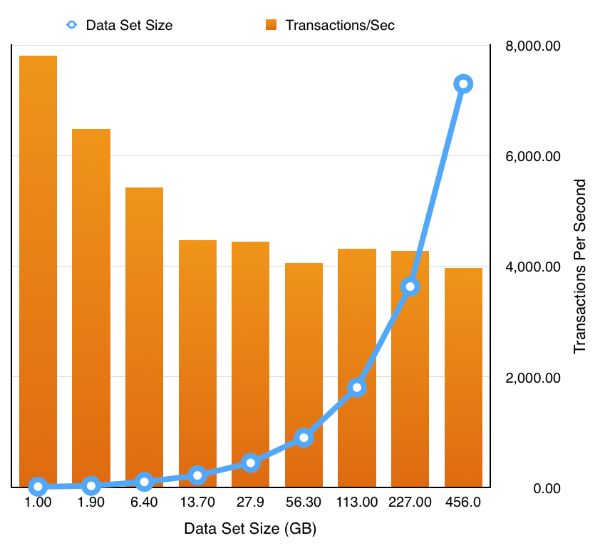 The resulting chart shows pretty much what we’d expect .That doubling the size of the datasets but keeping the workload and SGA constant results in a reduction of the TPS. 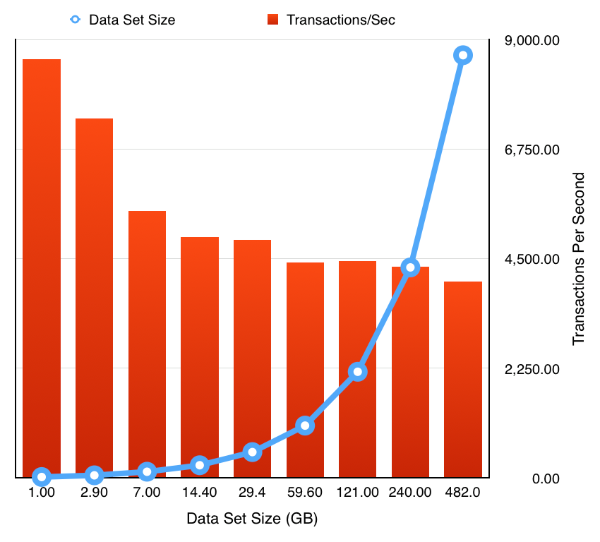 Which tails off quickly as the data set quickly outgrows the buffer cache and we are forced to perform physical IOs, but declines less slowly after this impact is felt. It’s something we would expect but it’s nice to able to demonstrate it. I’ll most likely add a few more over the coming weeks. Just a word of caution… I’ve noticed that my stats collection is broken. I don’t cater for all of the possible version/configurations in my script and so it can break on large stats collections and go serial. I’ll try and fix this next week. 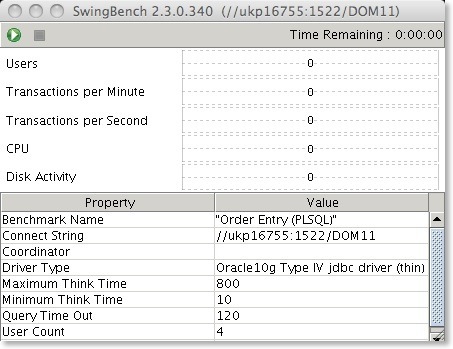 Just realised I uploaded the last build with Oracle Database 12c Release 1 (12.1.0.1) jdbc drivers. I’ve fixed that (now 12.1.0.2 drivers) and so feel free to download again. I’ve updated swingbench with some fixes. Most of these are to do with the new results to pdf functionality. But at this point I’m giving fair warning that the following releases will be available on Java 8 only. 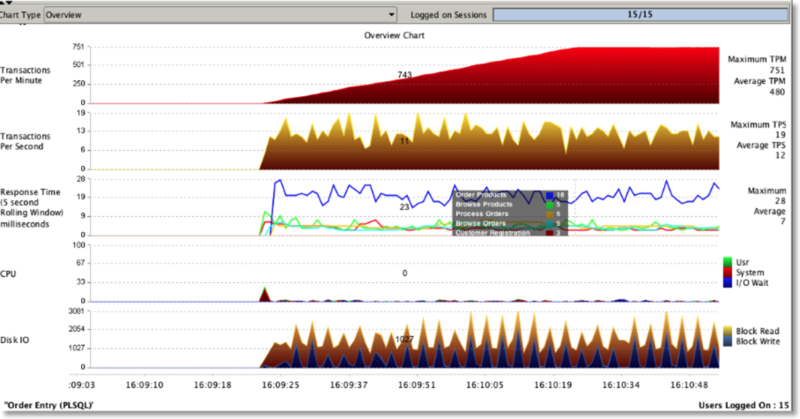 I’m also removing the “3d” charts from swingbench and replacing them with a richer selection of charts build using JavaFX. As always you can download it here. Please leave comments below if you run into any problems. It appears that I’ve broken some of the functionality in clusteroverview in the latest builds... In particular the scalability portion and the reporting of CPU. I’ll fix this and get a new build out ASAP. I’ve just upload a flash version of the walkthrough screencast. Hope this helps the Linux users. Lets go through some of the new features in a little more detail. 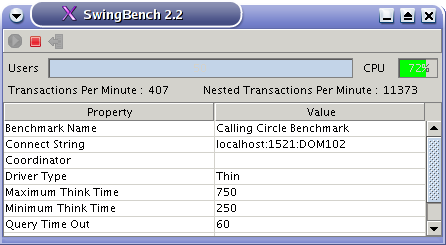 This makes it easy to build an entire schema for a benchmark run removing the need to run additional scripts afterwards. Currently I don't support their reverse engineering but that will come. 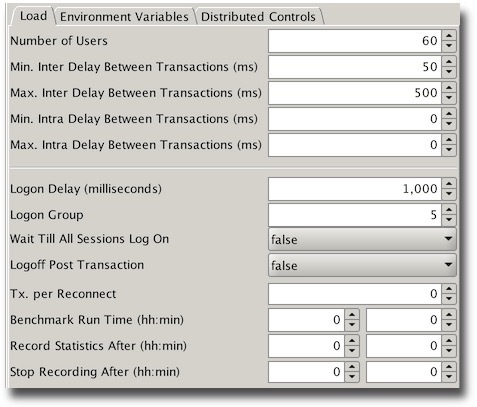 Previously it was possible to specify multiple threads for a datageneration run but each table was allocated a single thread. 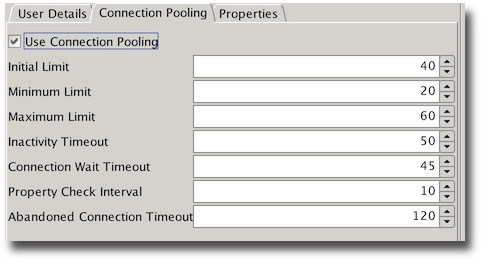 In this version a user can soft partition a table and hence break the build into smaller units which can each have a thread allocated to them. This means that if you have a 32 CPU server you'll be able to build a 10 billion row table much faster if you soft partition the table into 32 units and allocate 32 threads for the build. The partition key can be either a date or number. 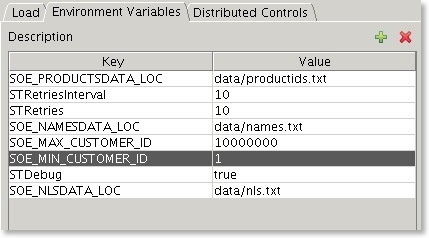 This is also useful to avoid resource contention when inserting data into a partitioned table. The config files for the soe and sh schema are now by default configured for a 1GB build. These can be scaled up by using the -scale option. 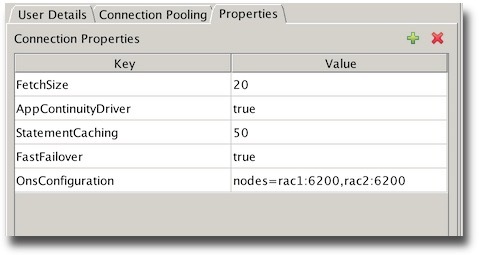 To build a 100GB sh schema the following command can be used. This functionality is supplemented by a new flag on a table definition. Only tables with this flag enabled will be scaled up. It is now possible to use the row count of a table as the maximum value of a number generator. This is useful when scaling up/down a datageneration and maintaining data coverage and referential integrity. 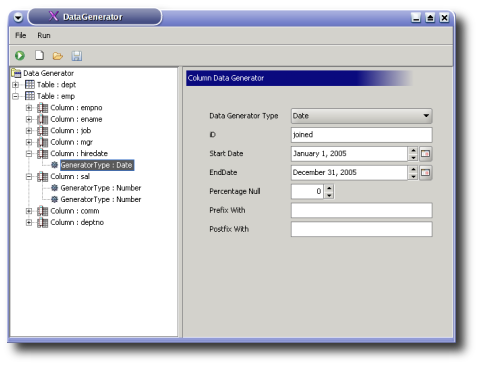 As the number of rows in the referenced table increase so does the the maximum value of the data generator. 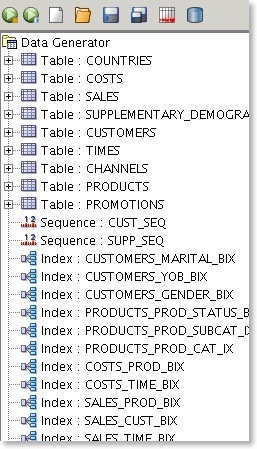 It is sometimes useful to only create the DDL that will used to create tables and indexes. The files that are created can be edited and modified to include additional information such as storage definitions. I've uploaded a new build of swingbench which includes a number of fixes (one that broke charbench). Apologies for this. I thought I released the fixes if the previous build. You can find it here. As usual let me know if you find obvious bugs. I know things have been a little slow of late in terms of the releases of code but I've just had too much on both at work and at home. 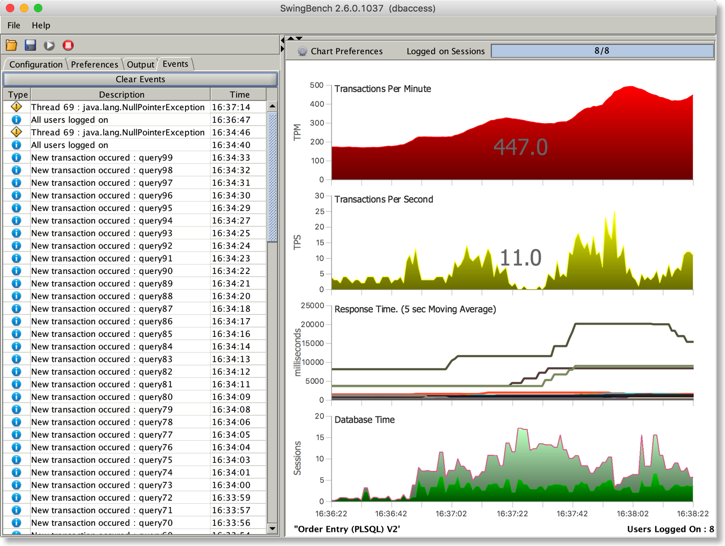 The good news is that I've found time to squeeze in a new build of swingbench. This has a number of bug fixes in and the following new functionality. I've also included a walk through of how to set up clusteroverview in 2.3 with the new GroupID functionality, you can find it here. 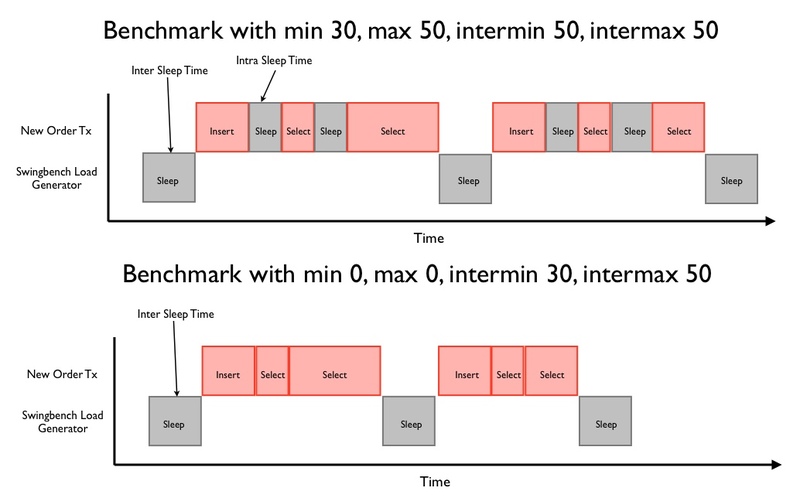 A new lightweight graphical load generator called "minibench"
charbench/swingbench/minibench now have a number of command line options allowing them to override configuation file settings. This should simplify configuration. * New graphical front end. Not much, but things have been pretty busy at work. The implementation of the reverese engineering functionality will depend on how long I can avoid doing all of the work on swingbench I've promised people.